Whey Protein.. Do you need it? The other week I gave a quick interview to Men’s Fitness Magazine (don’t worry ladies, you can read this blog post too!) on behalf of Protein Dynamix (thank you to them for the PDNIC discount code btw!) on my thoughts on whey protein. I’ve written about protein powder basics before, however in this interview I went into a little bit more detail, but hopefully still made it easy to understand. So .. here goes! Whey Protein.. What is it and Do you need it? 1) What is Whey Protein? Whey protein is one of the proteins found in milk; it is the water-soluble part of milk. Protein, which breaks down into amino acids in the body, is involved in muscle growth and repair with specific amino acids such as leucine acting to encourage muscle growth. Whey protein can be used as a protein supplement in order to meet daily protein goals and is absorbed relatively quickly. 2) What are the benefits of supplementing Whey Protein? As well as helping with muscle growth, whey protein can help to preserve lean muscle tissue when losing fat. A whey protein supplement can dramatically increase daily protein intake without having a detrimental impact on daily calorie, fat and carbohydrate intake. 3) Is it something people should take all year round, or should they cycle it, and if so, how? You should aim to consume a sufficient amount of protein each day from food for muscle growth, however if your food intake does not meet your protein needs, then a whey protein supplement may be useful. 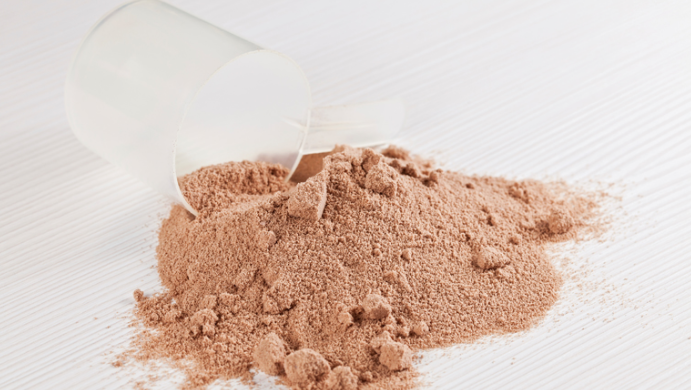 4) How often should people take Whey Protein, and what should the dosage be? How much protein (from both food and supplements) an individual needs depends on a many factors including activity levels, size/weight and health conditions such as renal disease (where protein intake may be restricted). The consensus at the 2010 IOC Conference on Nutrition in Sport was that those who exercise regularly have higher protein requirements (1.3g-1.8g/Kg of body weight a day) than the general population (0.8g/Kg of body weight a day). People with a BMI of over 30 though should base their protein goals on their lean mass (body weight minus fat mass) or a healthy weight for their height. Ideally we should distribute our protein intake evenly between meals and snacks over the day, to aid digestion. 5) Is Whey Protein more effective if taken at a certain time of day, or with food, or specifically before or after exercise? Research suggests that the post-exercise ‘anabolic window of opportunity’ to take protein may be wider than once thought and actually the main factor to consider is how much protein you consume over the course of a day. If you exercise fasted however, taking protein pre-workout may be advisable. Having whey protein with carbohydrate e.g. mixed with milk or fruit may help to enhance amino acid uptake and ultimately muscle growth, and will also help to replenish energy stores. 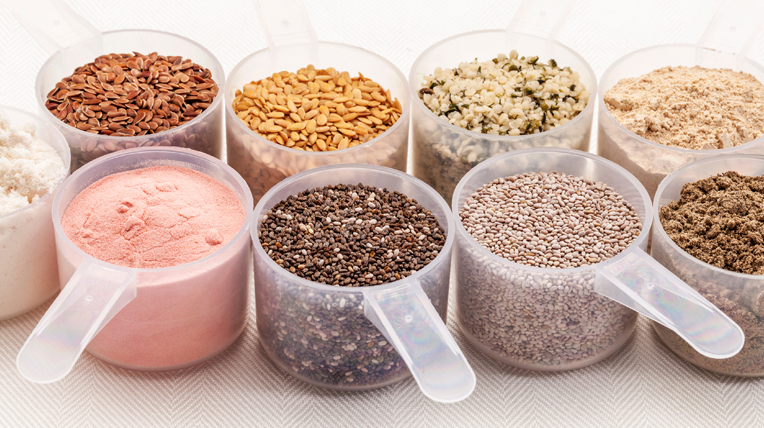 Do you use protein powders? I personally do to help meet my protein needs – my favourite way to have whey protein is as a smoothie mixed with ice, a frozen banana, milk & a handful of spinach! For more information check out [this blog post] written by me, [this blog post] written by the PD team and [this blog post] from examine.com – I really hope that you’ve found this blog post useful! *This blog post contains an affiliate link. All opinions are my own. Please read my disclaimer page for more information. Next Post The UK Blog Awards 2015 – I WON!!! When I train in the morning it I only make time for a banana, upon waking then have BCAAs with some dextrose during my workout. Then I have protein and carbs afterwards. Is this okay or should I look to have more protein before working out? Great article by the way and thanks for posting it.